When jazz singer Robin Barnes isn’t performing at various festivals and shows around New Orleans, she is working on making her hometown a more fit and connected place. 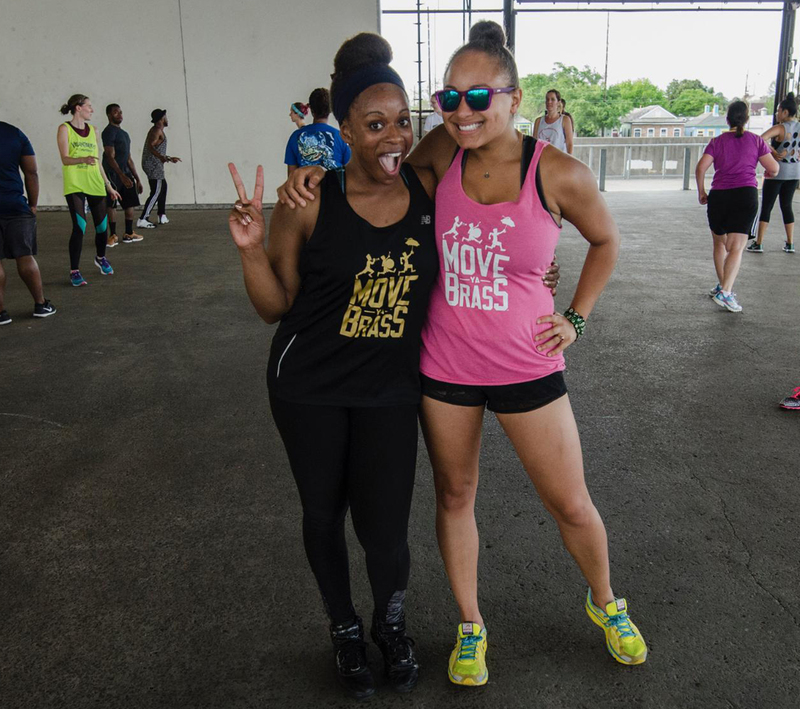 After overcoming a serious illness, she focused on creating a healthier lifestyle for herself, which lead to her creating the Move Ya Brass fitness group off a single Facebook post. 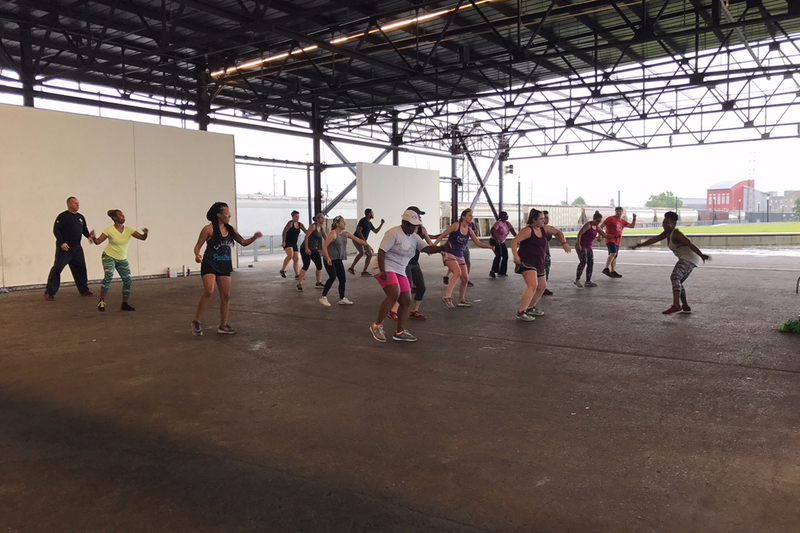 Move Ya Brass hosts weekly group runs on Mondays in New Orleans’ City Park near the Museum of Art and Bounce Ya Brass & Hip Hop Ya Brass classes that alternate every six weeks on Tuesdays at Crescent Park. There is also a sunrise Stretch Ya Brass class held along the Mississippi River during the summer months and a new Twerk Ya Brass class is being introduced on Saturdays. The classes aren’t as daunting as they might sound to someone with no dance background or rhythm. To fund Move Ya Brass, Robin relies on booking corporate events and sales of their singlets. She has a low overhead, as volunteers (many of whom have been with her since the beginning) handle administrative duties, help facilitate partnerships and serve as running coaches. Fitness instructor Shanda Domango is paid for the classes she teaches, but she volunteers her time as program director. Robin started Move Ya Brass after she almost died from a rare strain of a kidney infection. She was put on a regimen of eight medications and followed a restricted diet of no meat, sugar, alcohol or bread, but upon her doctor giving her “medicine B without medicine A,” she had a seizure. A new doctor also told her to incorporate more cardio to her day. So, in July 2015, the musician took to Facebook, explained her situation to her friends and fans and invited them to run with her. Ten people she’d never met before showed up. Move Ya Brass expanded when someone from Crescent Park called to inquire about fitness classes. Robin didn’t have anything organized at the time, so she improvised and made up her Bounce, Hip Hop and Stretch classes on the spot. She then serendipitously met Shanda, who happened to teach the exact same classes Robin was scrambling to put together. With her drive and enthusiasm, it’s no surprise that the singer, who acts as her own manager and, at minimum, has three regular weekly gigs at two New Orleans hotels, turned one social media post into a fitness movement. 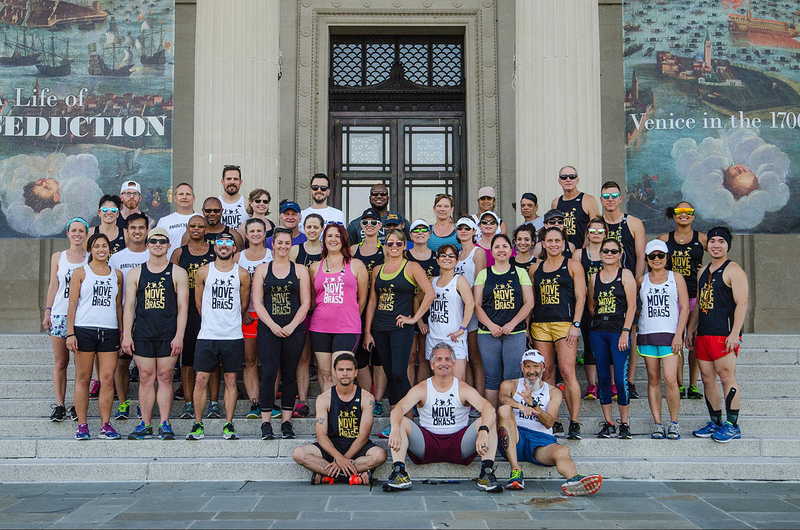 The Move Ya Brass Krewe on Facebook has over 600 members and there’s usually at least 20 people at every group run and class. The group also races together, supports each other’s outside running achievements and stays connected through newsletters and social media.